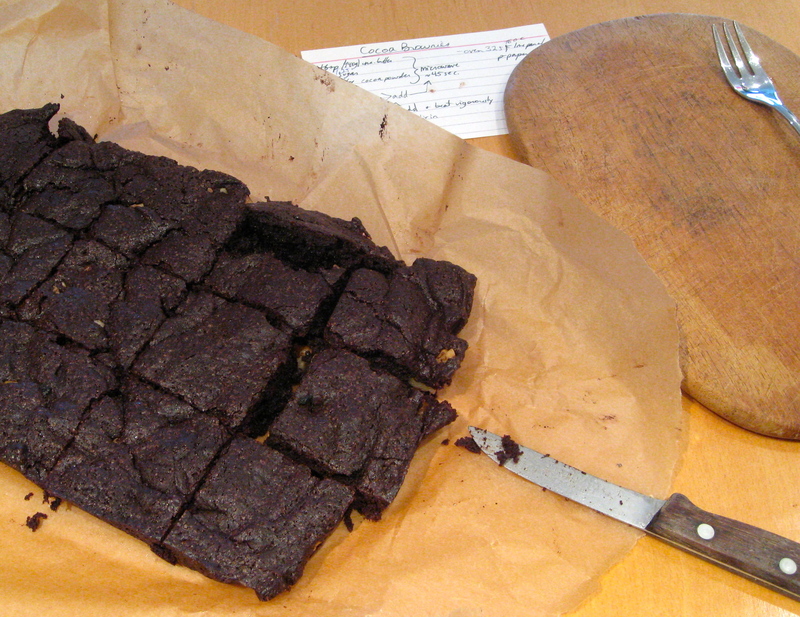 Now you may be wondering why I felt the need to post another brownie recipe when I have a perfectly great one here. Well, I’ve kept stumbling across brownie recipes that use cocoa powder rather than bar chocolate, and that made me curious how different cocoa brownies would taste. 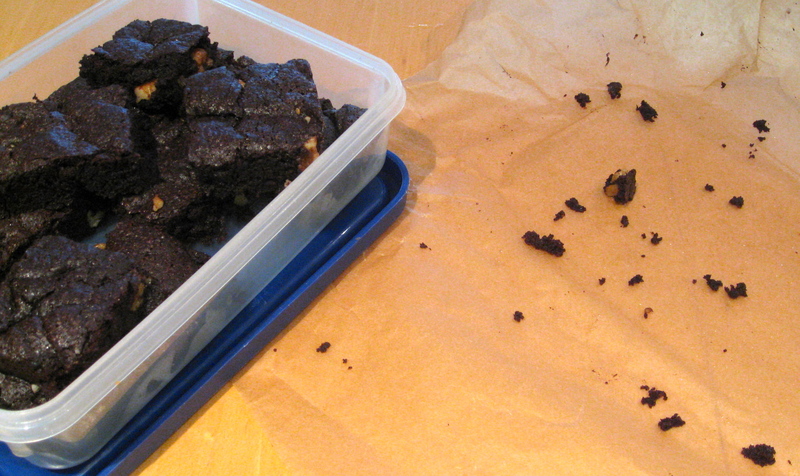 I was worried that using cocoa powder would lead to cakier brownies because in my mind melted chocolate = fudgy. How wrong I was. Not to mention the rich depth of cocoa’s taste…I may never go back to melted chocolate (though Michaela’s brownies will always hold a special place in my heart). These brownies have been blogged on many different sites across the Interwebs with hardly any variation — for consistency’s sake, I’ll attribute my adaptation to smitten kitchen. Make these now and try not to crumble to the floor in amazement. Preheat the oven to 325F (160C). Line a baking pan with parchment paper. Combine the butter through salt in a microwave-safe bowl and microwave for 40-50 seconds. Stir to incorporate the melted butter and bring everything together. Beat two eggs with the vanilla in a mixing bowl and add the chocolate mix. Stir until combined, then vigorously beat in the flour. Fold in the walnuts (if using), and bake 20-25′. Let cool before cutting (stick them in the fridge to speed the cooling process). This entry was posted in food, pictures, recipes on 22.03.2013 by taplatt.